The following assessment principles, (Davies, 2007; Cooper, 2010) are to be considered and applied to assessment opportunities within reading. Assessment involves a balanced approach that is planned and purposeful. Triangulation of data involves collecting evidence from different sources including conversations, observations, and products. This includes qualitative and quantitative assessment data. Assessment serves different purposes at different times. Information gathered through assessment informs day to day instructional decisions. Assessment focuses on individual students in order to differentiate instruction. 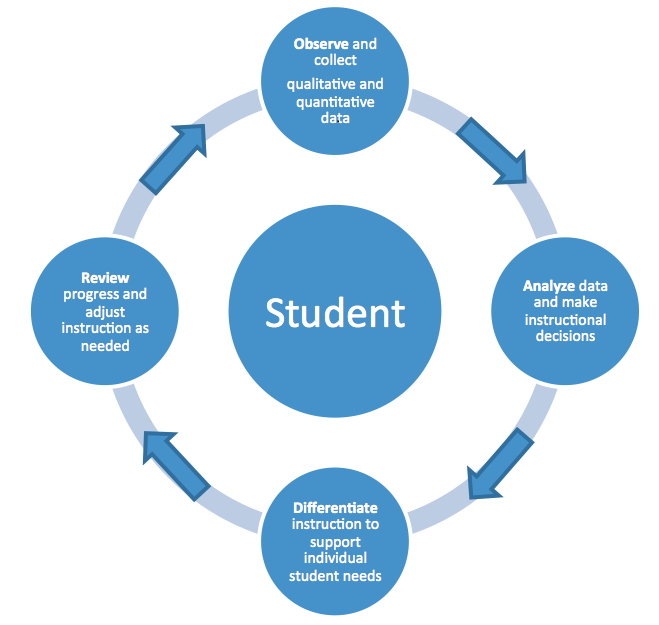 Assessment is a collaborative process involving students, teachers, and caregivers. Students need to be aware of expectations and be provided with timely descriptive feedback. Feedback is focused on areas of strength and opportunities for growth. Teachers need to consider a student’s language and culture. Student self-assessment based on clear criteria and exemplars ensure the focus stays on learning. Assessment begins and ends with curriculum. Curricular outcomes provide the starting point for instruction. Diagnostic assessment informs differentiation required for individual students to achieve outcomes. Students are aware of and help create criteria used for assessment. Assessment provides evidence to evaluate the achievement of outcomes.